A few years ago, I spent my summer vacation volunteering full-time at an alternative school located within the walls of a juvenile detention center. During the first few weeks there, I realized that my new insight into the juvenile justice system and teaching came with a few pounds. The culprits were everywhere (no pun intended). I would stress eat like crazy. A few students attempt to jump someone during your first period math class –> Hungry? Why wait for a Snickers. You witness a student get beat up on the bus and the police tell the attackers that you are the one who identified them –> Break me off a piece of that Kit Kat Bar. A student successfully smuggles a stick of dynamite into the school –> Nobody had better lay a finger on my Butterfinger. Teachers and administrators would fill the lounge with cakes, cookies, candy bars, sodas – any food indulgent enough to drown sorrows. On top of that, I ate the same breakfasts and lunches that the students ate (they were free and I had to be frugal). The students of the alternative school at the same meals as the students in lockdown. They were designed to provide the most calories at the lowest cost. I started running. By the end of the summer I ran for 2 – 5 miles each day. It was therapeutic. I lost a few pounds. It’s three summers later and I’m about to start an intense MA+credential program. On most days, the co-teaching carpool leaves at 6:45 am and my university classes don’t end until 5 or 6 pm. This is great training for my future life as a teacher – I’ll probably keep the same hours. I read the Elementary Educator’s post entitled What To Work On This Summer: Creating Habits of Intelligence. My goal is to create “habits of health” that I can master now and integrate into my busy schedule. I stumbled on the Disposable Aardvarks, Inc. blog. A vegan mother of three crafts bento boxes for her family. 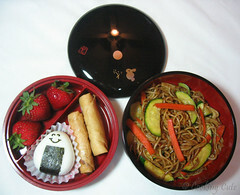 Bento boxes are widely used in Japan. Parents create easy-to-carry lunches that are healthy and visually stimulating. The box sizes keep portions small. 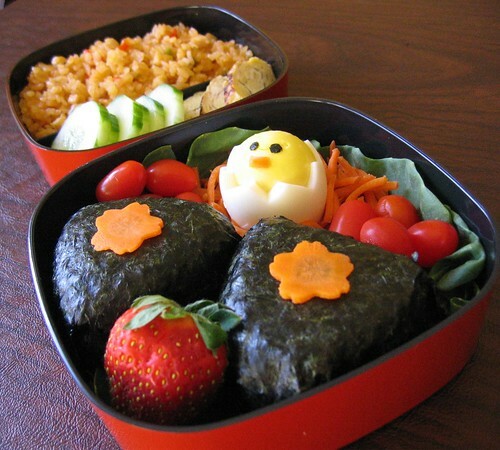 Also, the process of creating a bento involves (fun) design and healthy thinking. CookingCute.com and Cooking Cute Blog: A site with recipes, links to online supply stores, and how-to guides. Disposable Aardvarks Inc: Mentioned above. 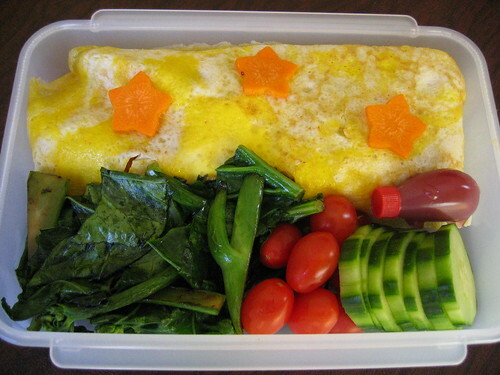 My Lunch Can Beat Up Your Lunch: Bento photos and recipes. JustBento.com Handbook: Along with recipes and photos, this site has a great how-to guide for newbies. The author explains how to start make quick, inexpensive, and healthy bento boxes. 2. Changing my relationship with food. I’ve had a turbulent relationship with food since childhood (childhood obesity). I still need to loose a few pounds. Instead of focusing on dieting, I’ve changed the way I think about food. I stay away from processed foods and opt for whole/natural goods, cook meals using amazing recipes, savor every bite, and make sure that my indulgences are worth it (homemade pine nut rosemary shortbread cookies instead of 2 bowls of cereal). I’ve also adopted a vegetarian lifestyle. GoVeg: An article about the meat industry’s impact on the environment. I feel great when I exercise. I lift weights 3 – 4 times per week and make sure that I do some form of cardio 6 days per week. I’ve tried to fit my workouts relatively short time windows. ExRx.Net: A great site for information about weight lifting (and fitness in general). I use the 2 day split (upper/lower) workout template. HussmanFitness.org: An indispensable resource about weight loss and fitness. John’s BMR calculator is an easy to use tool to figure out how much exercise and eating you should be doing. I love his focus on lifestyle change rather than dieting. 4. Connecting with others via SparkPeople. SparkPeople is a great website that features innovative web communities along with free exercise/weightlifting/eating plans, online exercise videos, a database with how-to demonstrations for each exercise, and calorie tracking. I use this site to keep track of my eating and exercise, share advice, and cheer on others. There are even a few spark teams for teachers. The only ENTJ in the elementary lounge? EducatorBlog by EducatorBlog is licensed under a Creative Commons Attribution-Noncommercial-Share Alike 3.0 United States License.